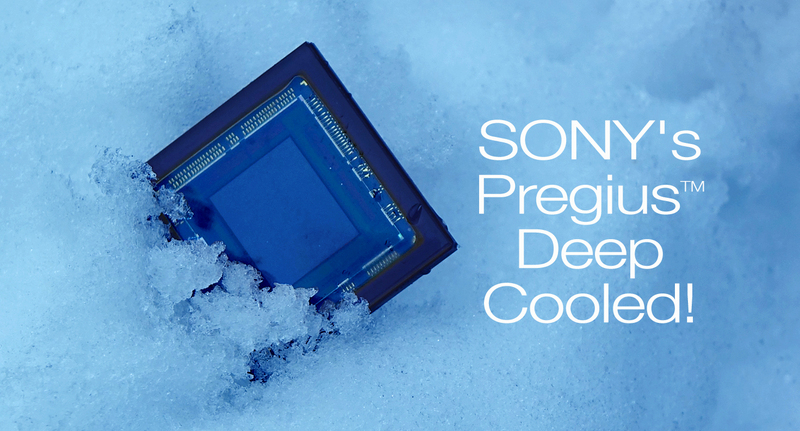 The first cooled Sony PregiusTM CMOS Sensor... Introducing the new SPOT RT sCMOS! SPOT Imaging manufactures a complete line of scientific digital cameras for microscopy, from easy to use color CMOS cameras for brightfield microscopy to ultra-sensitive scientific CMOS sensors for low light fluorescence applications. 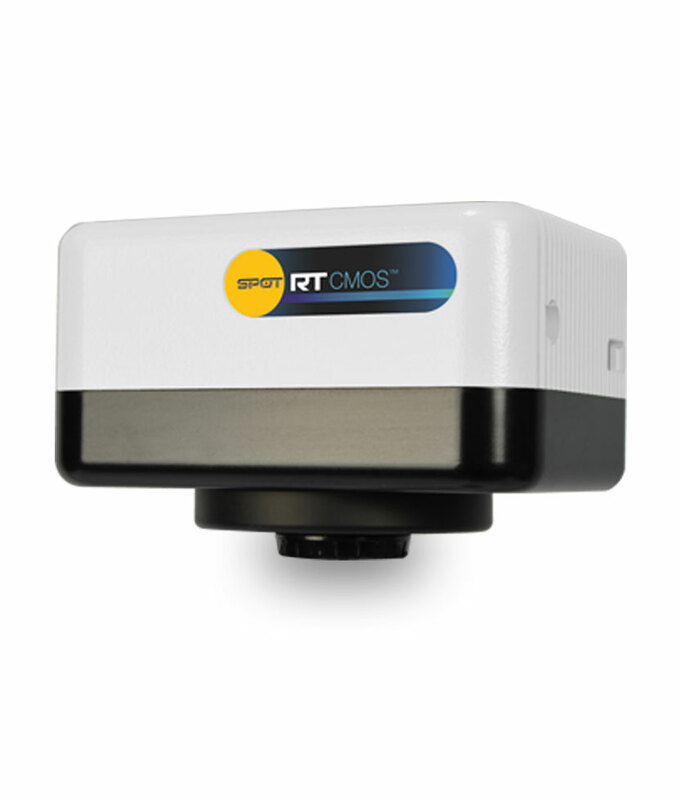 Every SPOT camera comes with the SPOT Software™, an easy to use image capture application full of tools for microscopists, including scale bar, annotations, measurements, custom reporting, and time-lapse recordings. Cameras run on both Windows® and Macintosh® computers, and a Software Development Kit is available for integration with custom software. All SPOT cameras ship with a 2-year manufacturer’s warranty and our exceptional track record for building reliable cameras that last for years. The SPOT RT sCMOS uses Sony’s breakthrough Pregius™ CMOS sensor. Now you can experience unprecedented speed and sensitivity in a scientific CMOS camera. Deep cooling allows dim images to be seen without becoming obscured by dark current. 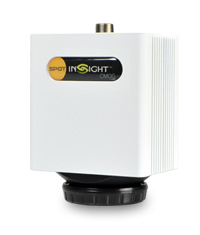 The SPOT Insight CMOS Camera featuring Sony’s Pregius™ CMOS sensor, delivers high speed, high resolution and high QE — features previously associated with much higher-priced cameras. Now available in 5MP and 12MP models! 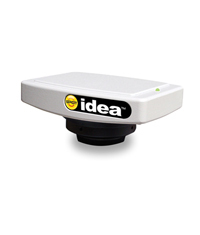 The SPOT Idea CMOS cameras deliver high impact color images for journal publication and industrial documentation at an economical price. 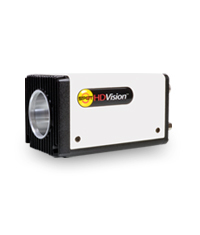 The SPOT HDVision cameras provide live video microscopy imaging in HD for conferences and classrooms without requiring a computer. SPOT Imaging builds life science imaging focused on productive workflow. We achieve this by creating intuitive work environments that leverage proven technology with outstanding support. © 2019 SPOT Imaging, a division of Diagnostic Instruments, Inc.